Low Volume and Rainbow Text Fat Eighth Bundle: Stashed! Sometimes I can’t help myself. That happened recently when I picked up these two darling bundles from Sew Me a Song on Etsy. A bundle of typography prints in various rainbow shades? Yup, sign me up! Maybe I should use these in a border when I get back to my Rainbow Grunge Lonestar project. I also couldn’t resist a little low volume bundle. My favorite part about this low volume bundle is that they’re not just off-white tone on tone. I have a terrible time sourcing low volumes in my stash so I’ve been trying to build them in a smart way recently with quick little bundles. Leave a comment about what you would make this this beautiful texty bundle! Giveaway will run from June 7 – June 13th 11:59 pm EST and is open to entrants 18 years or older. Winner will be announced in next week’s Sunday Stash post! I this this bundle would make a lovely summer picnic quilt! thanks! They’d be great in a patchwork pillow or a fantastic kindle fire cover! I’d love to cut into this bundle to make a quilt!!! Thanks for your generosity!! I would use for a rainbow quilt-probably a plus quilt with some sky blue as the background color! This cheerful bundle would make a great little wallhanging, a mini quilt with a fun design! I would probably make some pouches or maybe a patchwork pillow. I would make a throw size quilt. I am making a scrappy trip around the world quilt and these prints would become a block or two in this quilt along with my scrap remix quilt I am working on. Plus some pieces would make their way into the two postage stamp quilts that are works in progress. I really like the colors and with all the text fabrics, I think a wall hanging for the office/study at home would be wonderful. I would use it in a quilt. I (think) I would make some pouches/bags for Christmas presents. I have been wanting to make some zippered pouches. Thanks! I am working on a Cross quilt and these would work perfectly for it. I don’t know exactly what I would make, most likely work them into a fun scrappy quilt. I would use these for a small wall hanging for my office at work. I have a wall that I need to dress up a little bit! Now I must say this is a lovely bundle! Of course, I would make a quilt. Thank you so much for the chance to win! You sure know how to pick ’em! Always am a sucker for text prints. Lo e this bright bundle, Thanks for a chance to win! It might incorporate well into the picnic quilt I am making. “Toy Box IV The Anniversary Collection- Half Yard Bundle” would make a fine new Summery Quilt for our bedroom! Thanks for a neat giveaway! Swoon! I love texty prints! I would make a couple pillows with this wonderful bundle. Thanks for the chance to win! I would love to make a colorful quilt for my daughter!!!!! I would make a sparkle punch quilt. After carefully consideration, I actually think the Text Me a Rainbow bundle would be my choice. A rainbow quilt is on my bucket list and this would be perfect! Thanks for the giveaway! I would either make the world’s best patchwork bag or a picnic blanket 🙂 Love this bundle! I would try using a half hexi to make a herringbone design. a tote to take to quilt fest this year. I would use this (with additional fabrics) for a throw quilt. And I’d keep it just for me! Thanks for the chance to win. I can see a really neat little modern quilt! Thanks for the chance to win! I would make a cool baby quilt for my niece/nephew due in November. I would love to use these text prints in an educational project I working on for my 3.5 yr old grandson! Thanks for this fun opportunity! I love everything on their site but especially the low volume bundles. A quilt of course. Maybe a scrappy clam! I love the text print. I would make a quilt for my daughter. I’ve been trying to build my low volume stash too…thankfully there are lots of bundles to help us! I would most likely make a quilt. I have lots of ideas! I would love to make a rainbow quilt just for me! Quilt? Bags? They would be great for many things. Hi Terri! I’d add the fabrics to Mary’s Round Trip Quilts quilt top that I have until the end of the month! What a fun bundle of fabric. I would likely use it to make a mini wall hanging or use some of it in Patchwork City Quilt. This would be perfect for a scrappy stars quilt I want to make. Thank you for sharing and the giveaway. I really want to make a rainbow quilt- maybe a giant rainbow star?? This would be such a fun fabric selection to get me going! Thanks for sharing this lovely shop! I would make a tote bag for books with it. Thanks! I would make some bags/baskets for our local Buddy Walk fundraiser for Down Syndrome. Maybe a picnic rug or some place mats! I’d use the bundle in the Quilt Mania – my small world by Jen Kingwell that I’ve just started. I love this bundle, and would use it in a quilt, or several quilts! Oohh, I would do a lovely wall or lap quilt for the couch, would certainly brighten up my home. I LOVE text prints and low volume fabrics…and these are just going into a quilt for myself if I would be the happy one….they are just soooooo lovely!!! I so badly want to make a rainbow quilt. These would be perfect. I always love stopping by her shop – so many hard-to-find prints. I love the Neutral low volume bundle she has created! Love the text prints! I think they’d make a great library book bag! I would use it for my library quilt! I love this bundle so much! I have no idea yet but someone else said a picnic blanket and I love that idea! Or I love the idea of making a scrappy weekender bag with it too! I have been collecting text fabrics to make a quilt. This would add to my obsession! I would like to make some fun pillows. Thanks for the giveaway. I love the colours in the bundle, so happy. Prefect for a quilt to chase away the winter blues. At first I thought a quilt but maybe bags would be better. I love it. This would be the perfect bundle to create a quilt for my teenage daughter! She loves this type of print and the colors are so awesome! Thanks for the chance ! 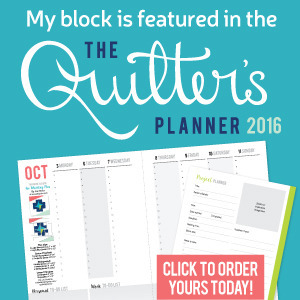 This has mini rainbow sampler quilt written all over it! That’s what I’d be using it for! 🙂 On my summer sewing list. Wouldn’t this make the coolest dresden wallhanging? I’m working on a picnic quilt that would look great using these prints! Thanks for the chance at winning your giveaway and also the hours of browsing your blog! lol its the part of the entry that I love the best! Seeing what everyone else is doing and of course finding great blogs to come back to! I would love to incorporate these lovely fabrics into a scrap quilt I’m working on now. And with FQs there would be enough to use some and still have some for another quilt later. I would love to make some pillows with these fabrics! Thanks for the chance to win! I would definitely add this bundle to my pool of rainbow fabrics I’m planning to use to make rainbow quilts for my two youngest children. I love rainbows AND text and would be thrilled to win! i would make a couple of this to decorate my sewing room! Thank you for the chance to win. I would make a matching set of small quilts for my granddaughter and her doll. I think it would be fun to make a really graphic quilt with all of those prints. Maybe add in a medium grey to make it all pop. I think I’d make a sketchbook cover and a matching pencil pouch. Thanks for the chance to win! I’m working on a quilt based on my favorite punk band, and need lots of low-volumes and nearly-blacks plus a few pops of color. This would surely do the trick. Fabulous bundle! Thanks for the giveaway! This would make a beautiful quilt for my granddaughter, who married recently. I love *text* fabric and this bundle would be put to good use making fun projects for my teacher friends. I could use them in applique, mug rugs, teacher’s room signs, or a patchwork curtain! So cool! I would make a rainbow Fancy Fox mini quilt if I won this amazing bundle! It’s just calling out to me! Thank you for the giveaway! I would save some fabrics for use in quilts …but I would use a few to make some zippered pouches. I’d add some fabrics and make a small quilt! I would make a quillow love the bundle. Thanks! I’d make a blanket or patchwork pillow cover. So pretty! I’d make a table cloth for my kitchen table. The colours are perfect. I love this giveaway. Purses. Lots of purses! Sew Me A Song is a great shop on Etsy and I love their fabrics. Also a very nice lady to do business with. My favorite right now is Sew Charmingby Bo Bunny For Riley Blake but there are too many to choose! I’d make myself an open wide zipper pouch. Unique and trendy fabric, a perfect quilt fabric for my granddaughter. I would make a mini quilt for my little sister’s little kitchen! I’m so glad you posted about this rainbow text bundle. I’m going to be VERY picky in how and when I use it. I love supporting smaller quilting stores like Sew Me a Song on Etsy though the big names get a fair amount of my business too!